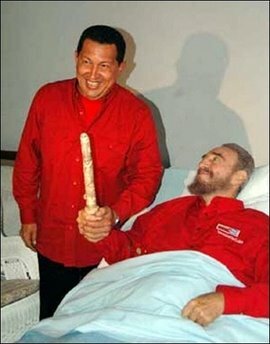 Newly released photo of Castro with Venezuela's Hugo Chavez. I don't know what they're holding, and I'm not sure I want to. AFP merely refers to it as a "birthday present" to Castro.